Do you find it hard to motivate yourself to run in the autumn and winter months? 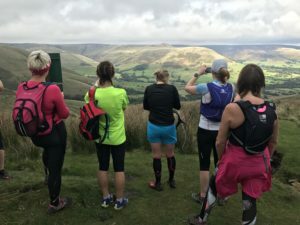 Would you like to spend time exploring the beautiful Dark Peak area with some like-minded women? 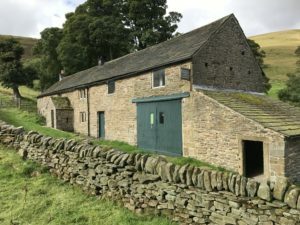 Then come and join us for a fun-packed weekend in this remote corner of Derbyshire! We once again have exclusive use of the remote and cosy Dalehead bunkhouse, set in a remote valley head near Edale. 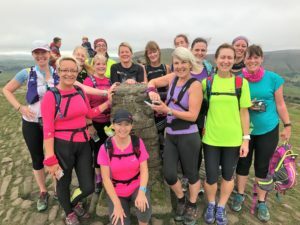 Surrounded by gorgeous countryside, there is superb trail running available from the front door, and a cosy log-burner in the lounge for warming up afterwards! Accommodation is dormitory-style, in rooms of 6 to 8. Breakfast, lunch, dinner and non-alcoholic drinks are all included in the price. If you have special dietary requirements, just let me know! If you are already a registered Mud and Miles customer, then just log on and select 'Dark Peak weekend deposit' from the group/run menu. If you are new to Mud and Miles, then you will need to register with the system first. You will be asked to pay a £35 deposit on booking and the balance of £115 by Friday 28th September 2018.